Art in Dominical: Happy Feet Celebrates the New Year! 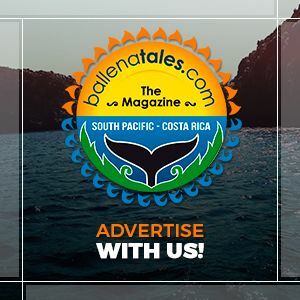 Happy Feet Ballet & Performing Arts School in Dominical, Costa Rica is excited as we celebrate the new year of 2019 full of exciting new opportunities in the Performing Arts for our local children and teens in the Costa Ballena Pacífico Sur! Happy Feet, Directed by Heather Gamewell, is excited to launch the new community arts and music programs Happy Hands and Happy Notes as well as prepare for many exciting events throughout 2019! Events such as our Zona Sur International Dance & Musical Theater Intensive January 14-18, 2019, hosting world renowned teachers in Ballet, Dance, Musical Theater, and Drama! As well, Happy Feet Students are busy preparing to participate in the International Festival De Ballet in San José in May 2019 in which they will be competing, performing, and officially representing, for the first time in history, our Costa Ballena in the Classical Performing Arts! Happy Feet holds and participates in various beautiful performances throughout the year, one in which we are especially excited for is our up and coming production of The Greatest Showman! A production full of Dance, Drama, Music, and Fun! Join us June 2019 for this spectacular thrilling production! Experience the thrill of P.T. Barnum’s Circus comes alive! Break Dance, Hip Hop, Classical and Contemporary Ballet, Jazz, Tap Dance, Singing, Music, Drama, and more! Stay tuned for our up and coming productions and events in 2019! Contact Happy Feet to sign up for classes (in Dance, Music, and Art, ages 2-Adult), to participate in shows and events, volunteer as a guest teacher, sponsor a program or event, and stay tuned for up and coming shows and events! Happy New Year! Posted in academy, Activities, Activities, Art & Culture, Art & Culture, Costa Ballena, Dominical and tagged academy, art, ballet, dominical, new year.